Delicate pink covered in embroidered floral motifs on a blend karandi shirt, accompanied by an embroidered net dupatta and cotton satin trouser. Traditional silver accessories and dramatic smoked out eyes make for a seriously glamorous look. 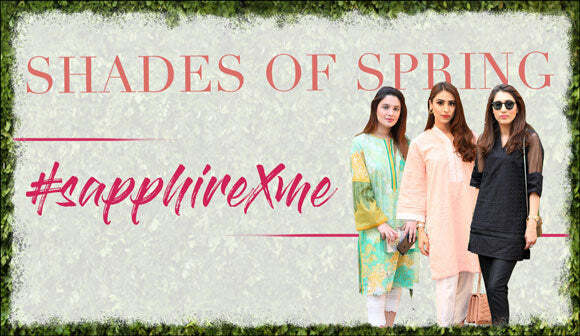 For the woman who appreciates the finer things in life- the Luxe collection brings together a ménage of opulent fabrics, lush colors and lavish embroideries, perfect for special occasions. Indulge in luxuriant moments with these detailed and lavish formal looks.